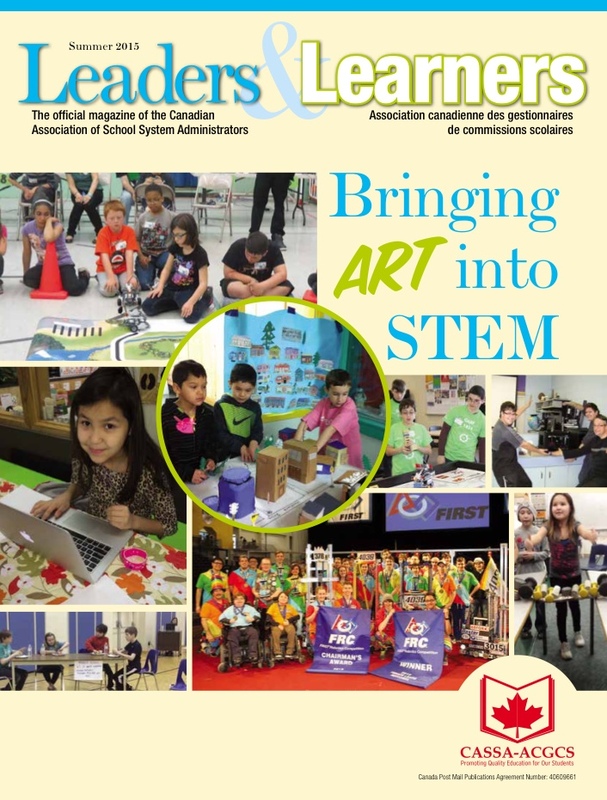 The Leaders & Learners magazine is the official magazine of the Canadian Association of School System Administrators. What perfect timing as I was about to retire from the school board I have had the privilege of working for the past 26 years. I had also just finished co-authoring the EOSDN Year 2 Math project poster with our program team and I was feeling good about this as well. It is so challenging to put all of the learning that is “three-dimensional into a two-dimensional format”. This has always been my struggle because what is written can appear to be linear or prescriptive and that is not the intent. One of my greatest learnings has been the importance of reflection. As a young educator I did not always take the time to write down my thinking. I became much better about this in my facilitator role but it took me a long time to have the nerve to share my written thoughts with others. Once I took the leap I realized that this is so important if we are going to move education forward because these observations and reflections are a way of documenting important learning across time that will otherwise be missed. 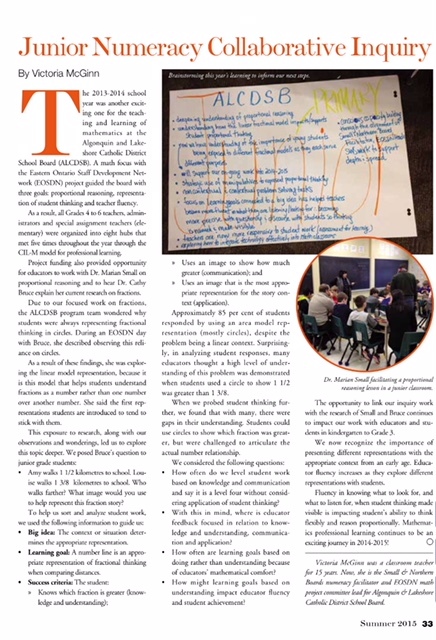 Just as pedagogical documentation has become so important in the classroom, documentation and sharing of our own learning as educators is just as critical. So as the new school year approaches think about how and when you will document and reflect upon your learning this year. I definitely found this much easier once I had access to technology – my iPad and phone in particular as I could quickly capture photos and anything I wrote could easily be edited or revised. And of course I always have my notebook and pen ready as well! Previous Previous post: Welcome to “The Math Motivator”!